Content of the immunoproteasome, the inducible form of the standard proteasome, increases in atrophic muscle suggesting it may be associated with skeletal muscle remodeling. However, it remains unknown if the immunoproteasome responds to stressful situations that do not promote large perturbations in skeletal muscle proteolysis. The purpose of this study was to determine how an acute bout of muscular stress influences immunoproteasome content. To accomplish this, wild-type (WT) and immunoproteasome knockout lmp7 −/− /mecl1 −/− (L7M1) mice were run downhill on a motorized treadmill. Soleus muscles were excised 1 and 3 days post-exercise and compared to unexercised muscle (control). Ex vivo physiology, histology and biochemical analyses were used to assess the effects of immunoproteasome knockout and unaccustomed exercise. Besides L7M1 muscle being LMP7/MECL1 deficient, no other major biochemical, histological or functional differences were observed between the control muscles. In both strains, the downhill run shifted the force-frequency curve to the right and reduced twitch force; however, it did not alter tetanic force or inflammatory markers. In the days post-exercise, several of the proteasome’s catalytic subunits were upregulated. Specifically, WT muscle increased LMP7 while L7M1 muscle instead increased β5. These findings indicate that running mice downhill results in subtle contractile characteristics that correspond to skeletal muscle injury, yet it does not appear to induce a significant inflammatory response. 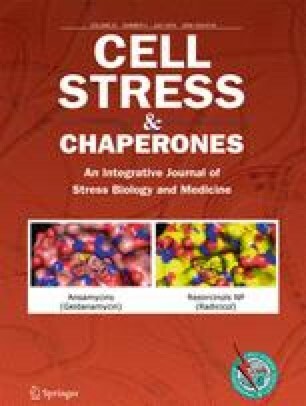 Interestingly, this minor stress activated the production of specific immunoproteasome subunits that if knocked out were replaced by components of the standard proteasome. These data suggest that the immunoproteasome may be involved in maintaining cellular homeostasis. The online version of this article ( https://doi.org/10.1007/s12192-017-0857-y) contains supplementary material, which is available to authorized users. This study was supported by the Elaine and Robert Larson Endowed Vision Research Chair (to DAF), the National Institutes of Health/National Institute of Aging (T32-AG29796 to CWB), an anonymous benefactor for Macular Degeneration Research, the Lindsay Family Foundation and an unrestricted grant from Research to Prevent Blindness to the Department of Ophthalmology and Visual Neurosciences. The funders had no role in the study design, data collection and analysis, decision to publish or preparation of the manuscript. All animal procedures were approved by the Institutional Animal Care and Use Committee at the University of Minnesota. Representative CD45 immunostains. Quantitative values are depicted in Fig. 4c. (GIF 75 kb). High-Resolution Image (TIFF 1478 kb). Supplementary Table 1 (DOCX 14.2 kb). Supplementary Table 2 (DOCX 14.7 kb).